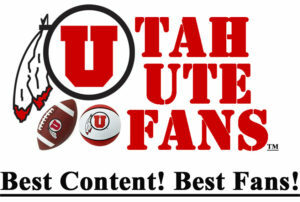 Utah Utes | Best Content! Best Fans! 4/20 | Salt Lake Tribune | Was this MyKayla Skinner’s final meet as a Ute? 4/15 | SB Nation | Where Do Utah’s Wide Receivers Stack Up in the Pac-12? 4/14 | SB Nation | Where Do Utah’s Running Backs Rank in the Pac-12? 4/14 | 247Sports | Is Utah at the beginning stages of becoming running back U? 4/14 | Salt Lake Tribune | Tyler Huntley says “the sky’s the limit” for Utah football. 4/11 | SB Nation | Where Do Utah’s Quarterbacks Rank in the Pac-12? 4/8 | Utah Athletics | Red-White Game is Saturday, Apr. 13 at 11 a.m.
4/3 | SB Nation | What would it mean for if Cameron Rising gained immediate eligibility? 3/30 | Salt Lake Tribune | Will receiver Steve Smith Sr. become the second Ute in the Pro Football Hall of Fame? ‘God willing,’ he says. 3/29 | Salt Lake Tribune | Chase Hansen misses Utah’s Pro Day tests, while revealing that he played the second half of the 2018 season with a herniated disc in his back. 3/28 | Salt Lake Tribune | Chase Hansen misses Utah’s Pro Day tests, while revealing that he played the second half of the 2018 season with a herniated disc in his back. 3/26 | Salt Lake Tribune | ‘He’s a tough kid.’ Covey earns the ultimate Whittingham compliment as he rehabs from knee injury and previously undisclosed broken wrist. 3/25 | Salt Lake Tribune | Yeah, the Pac-12 needed this: Oregon is in the Sweet 16, with the same defense that stymied Utah. 3/20 | Salt Lake Tribune | Devonta’e Henry-Cole wants a bigger piece of Utah’s offensive pie this season. He may get it, especially if Armand Shyne departs. 3/20 | ESPN | College football’s 64-team bracket: Can Alabama get back on top? 3/19 | Salt Lake Tribune | Utah’s football team once had a huge 2019 senior class. Now, not so much. What happened? 3/18 | SB Nation | Was the Utes’ Season a Success? 3/17 | Salt Lake Tribune | The Pac-12 snagged three NCAA Tournament bids, but now comes the challenge. Can the conference get any wins? 3/14 | Salt Lake Tribune | Oregon is Utah’s Pac-12 quarterfinal opponent, once again. Ducks look dominant against Washington State. 3/13 | Salt Lake Tribune | Is a Pac-12 quarterfinal game the end for Utah, again? Or just the start of a tournament run? 3/11 | Salt Lake Tribune | Utah’s Sedrick Barefield is an All-Pac-12 pick, Donnie Tillman is the top Sixth Man and Timmy Allen is All-Freshman. 3/11 | Sports Illustrated | Will Anyone Steal a March Madness Bid? 3/10 | Salt Lake Tribune | Utes in review: How will you remember this season? How about Utah’s 97-47 run vs. UCLA? 3/7 | Salt Lake Tribune | Pac-12 honors Steve Smith Sr., who could become Utah’s second Pro Football Hall of Famer. And what’s next for Eric Weddle? 3/6 | Salt Lake Tribune | The Pac-12 is so bad that this is good stuff: A wild and woolly men’s basketball race hits the finish line this weekend. 3/6 | KJZZ | Best Ute Team Ever! 3/6 | Sports Illustrated | Did the Pac-12 Schedule Enough Non-Conference Tests to Boost Its 2019 Playoff Hopes? 3/6 | KSL | Can Utah football live up to hype? 3/6 | SB Nation | Utah vs USC Game Preview: Nobody Knows Anything Anymore! 3/2 | Salt Lake Tribune | The Utes have a lot going for them as they begin spring football practice. They also must replace six NFL prospects. 2/24 | Utah Athletics | Men’s and Women’s PAC-12 Tournament Tickets on Sale Now! 2/22 | Salt Lake Tribune | Utes hoping to salvage their Northwest road trip at Washington State, but it won’t be easy. 2/22 | Deseret News | How does a Utah-Ohio State Rose Bowl sound? 2/20 | Deseret News | How realistic is a first-round bye for the Utes in Pac-12 tourney? 2/19 | Salt Lake Tribune | Why is Kyle Whittingham so much more popular than Larry Krystkowiak? Here are five reasons Ute fans cite. 2/13 | SB Nation | Pac-12 Basketball Power Rankings: Multi-Bid League? 2/12 | Deseret News | Parker Van Dyke’s gamer-winner against UCLA was incredible, but did it top these five others Ute buzzer-beaters? 2/12 | Salt Lake Tribune | Pac-12 Basketball: Parity or parody?